Slice the flank or tenderloin into thin, bite-sized pieces and place into a bowl. Mince the ginger and garlic. Add to the beef along with the soy, rice wine, salt, pepper, sugar and cornstarch. Stir to evenly combine. Add the sesame oil and stir again. Cover and set aside. To prepare the carrots, peel and cut into enough batonnets to measure 1 1/2 cups (refer to the drill-down on Size of Knife Cuts for more information). Slice the onions and cut the long beans into 2" -inch pieces. *Note: Chinese long beans are also referred to as “snake beans”. If you cannot find these, you can substitute with green beans. Shred the green onions and cut into 2" -inch pieces. Snip the tail end of the dried chili to split it partially in half. Set everything aside. 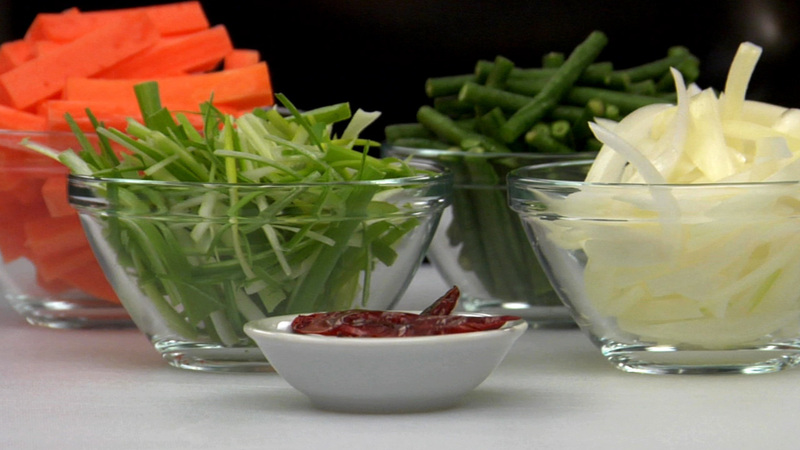 To prepare the sauce, combine the ingredients into a bowl and set aside. 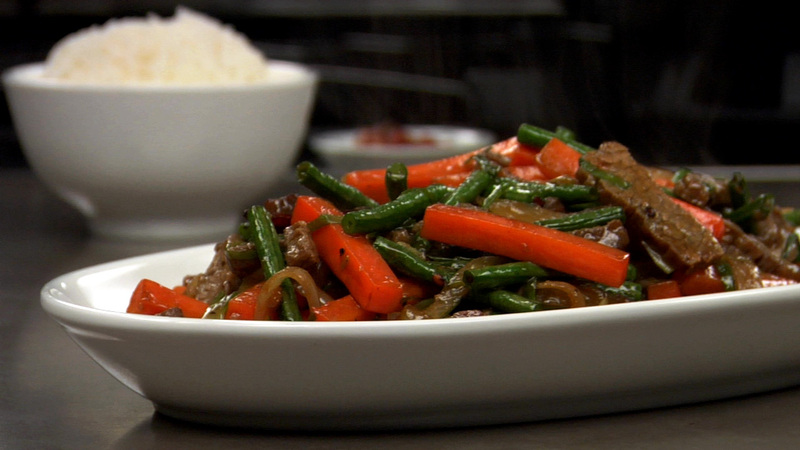 Cook beef — remove from wok — add dried chilies — add onions — add carrots — add long beans — return beef to wok — add enough sauce just to coat. 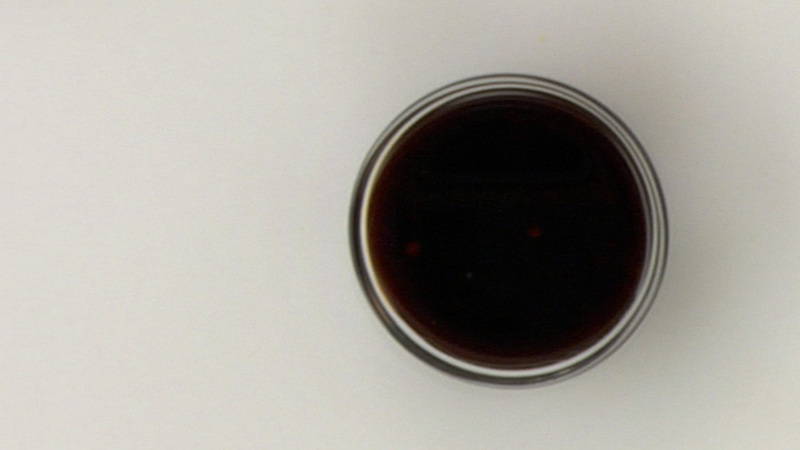 Any leftover sauce can be stored for the next stir-fry. Sprinkle with shredded onions. Serve immediately with sambal oelek, if desired. Hi, In the instructions it says "Snip the tail end of the dried chili to split" does this mean simply chop the tail off or chop off tail and split in two? Just snip it to cut it partially in half. This will allow some of the seeds to come out and release more heat into the dish. Cheers! I tried this tonight for dinner and it's really good. I like the marinade ingredients; I think they are perfect and it smells delicious. As for the sauce, this is the first time I have made a sauce from scratch for a chinese dish that actually blended together the way that it should. The only problem that I had was that I noticed that the sauce had a stronger flavor in some parts of the dish than in others; I dont know if I didnt stir it well enough before I poured it in or maybe I should have cut back on the oyster sauce. Any thoughts?? It's hard to say exactly Andrea. It could be either of the things you mentioned. 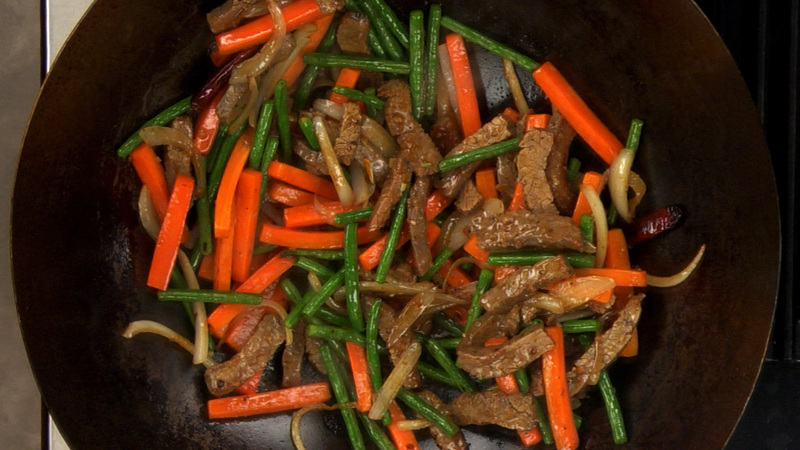 It does sound like maybe you needed to stir the sauce into the stir fry a bit more, but again, it's hard to say. That's the great thing about cooking, we get to try things again and again until we are completely happy and comfortable with the techniques and the end results. Cheers! I am a recovering alcoholic,but an aspiring cook.I was wondering if their is a way or thing to replace the rice wine in the recipe,and if so how would it affect the outcome/taste of this dish,will it not be as good if that is the case or will the alcohol taste cook out?I've only got 16 weeks of training (Through FareStart of Seattle)so there is a lot I have to learn, Thank you Ron Y.
Ron If taste is the only concern you have there is nothing to be concerned about. Rice wine looks and smells like vinegar. Hi Roy, The rice wine does give the dish a specific flavor and could possibly retain a bit of the alcohol content once it has cooked. Absolutely feel free though to experiment with other liquids to suit your needs. Here is a link that offers some substitutions. Orange juice would go nicely with this dish. Happy cooking! Cheers!